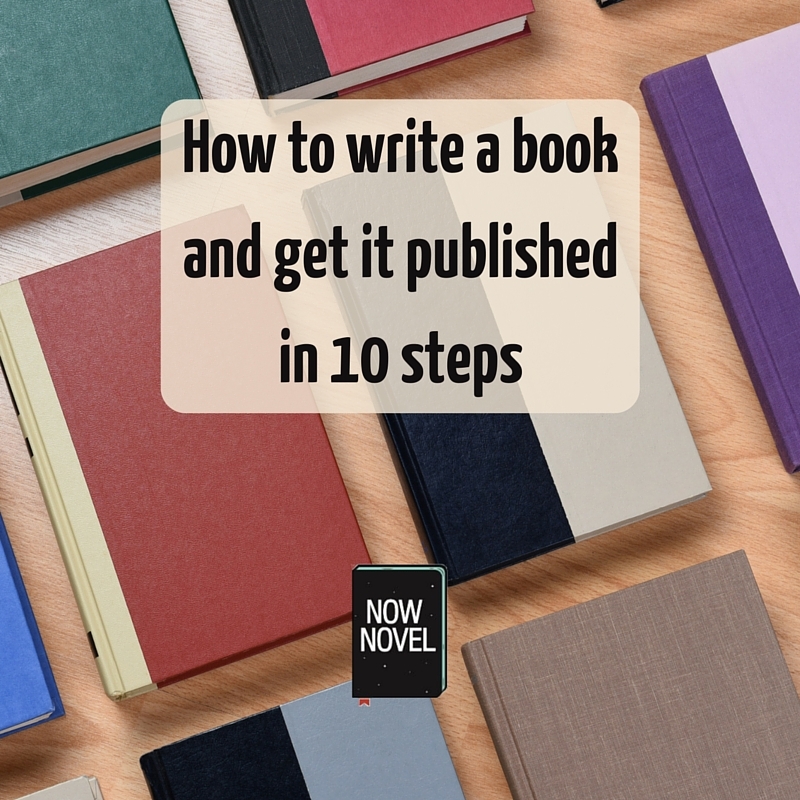 Choosing a strong, stand-out story idea is the first step towards publication. When you pitch a novel to publishers, your plot synopsis is the first thing people will notice (along with your credentials, the language and phrasing of your submission and the title of your manuscript). A publishable story is one that readers enter wanting to find out who the cast of the story is and how their story proceeds. Books that have had phenomenal publishing success in recent years all contain the promise of conflict and dramatic tension in their central ideas. In J.K. Rowling’s Harry Potter, an ordinary boy finds out that he will attend a fantastical school for wizards but also learns that there is great danger facing the wizarding world. In Suzanne Collins’ The Hunger Games trilogy, children living in the dystopian country of Panem must fight to the death each year in a televised event. Both these series have sold millions of book copies (Rowling’s fantasy series being the bestselling series of all time at over 450 million copies sold). Although fantasy books that follow the trials of a ‘chosen one’ are nothing new, Rowling made the familiar genre tropes her own. For example, the wizards view ordinary people (or ‘muggles’ as they are called in the books’ fictional world) as strange and other, a reversal of the more common focus on how wizards are fantastical and out of the ordinary compared to ourselves. You don’t have to reinvent the novel to fill a gap in the market. You can carve out your own niche by taking standard conventions in a genre and adding a refreshing new take of your own. Create a document and Create headings corresponding to the letters of the alphabet. This will help you find relevant information quickly while writing if you need to. Under ‘P’ (for example), write ‘Professions’. Here you can note down any important details about characters’ jobs and what they entail, if their professions are central to your story (as in a medical drama, for example). Add to your research document whenever you find any factual information that will be useful to your story. What is distraction-free writing time? It’s time you put aside to focus completely on your writing. So many aspiring writers report not having time to write, but it’s crucial to make time to write a book. 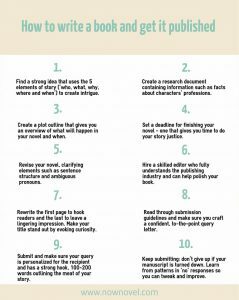 If you haven’t outlined a book before (or want to try another approach), consider these 7 story outlining methods. Another advantage of creating an outline for your book is that you’ll have a better sense of how many chapters or sections it will contain. This makes it easier to choose an informed deadline. When you set a deadline for finishing your first draft in your Now Novel profile, it automatically calculates when you will finish your book by calculating how many hours you have available for writing weekly. Choose a realistic deadline. Although NaNoWriMo success stories prove that it’s possible to write a first draft in 30 days, give your novel the time it needs to be fantastic because this will increase your chance of getting published. Remind yourself constantly that the first draft has one purpose – getting your story onto the page. Revisions and edits will polish a basic story into something more captivating. Revision can be a thorny process. You might realize that the chronology of events in your novel is flawed or that characters change names or other gremlins creep into the story throughout your first draft. Revise and be ruthless about it. Janice Hardy at Janice Hardy’s Fiction University offers an excellent series of tips for revising your novel in 31 days here. Topics include ‘eliminating unnecessary told prose’ and ‘clarifying ambiguous pronouns’. Are my sentences structured and easy to follow? Is it clear which character is speaking or narrating? Do I have all the right formatting, grammar and punctuation (does a change in speaker start on a new line in dialogue, for example, and does punctuation such as commas and full stops lie inside closing speech marks)? How does this scene contribute to the story arc? How does it deepen or alter the reader’s understanding of a character or the story and its overarching theme and message? How do you find a great book editor? Friedman advises attending writing conferences where editors will be speaking. This is one good option (At Now Novel, we also have our own in-house editor who is a PhD-holding, experienced book editor). Once you have a polished manuscript, make sure that your first and last pages are equally strong. The first page is what will lure a new reader in, while the last leaves a lingering impression. A great title is equally important. Friedman points out that if you secure a book contract with a major publisher, you might not have much say in the final title. If you are planning to self-publish, however, you’ll have more freedom. Another book with an interesting and distinctive title is Dave Eggers’ A Heartbrheaking Work of Staggering Genius, the author’s somewhat fictionalized autobiography. The title immediately creates interest through its ironic grandiosity, and the size of the title’s claim elicits curiosity. Simon & Schuster, in fact, does not review unsolicited manuscripts and recommends finding an agent via literary Marketplace here. Penguin Random House recommends the same service. HarperCollins also does not accept unsolicited manuscripts, but runs three digital imprints, Avon Impulse, Witness Impulse, and HarperLegend which accept submissions in the romance, mystery/thrilller and transformational fiction genres respectively. Smaller publishing houses often list their submission guidelines prominently on their websites. Indie publishing presses can help you achieve substantial author recognition too, if your manuscript is accepted. Publishing Genius is one example (the publishers’ authors have been republished by Penguin Random House in some instances or had their books optioned for film adaptations). You can find submission guidelines for Publishing Genius here (the advice is sound for wherever you choose to submit). Read Friedman’s definitive post on querying in full, if you have time, as it is packed with helpful insights. To maximize your chances of getting published, create a spreadsheet of publishing houses that accept unsolicited manuscripts in your genre as well as details on submission requirements (e.g. word count, formatting, etc.) Include the contact details for each so that at a later stage you can work through your list while submitting, without having to hunt for contact details. As Friedman states, you will receive varying types of responses, some of them rejections (even J.K. Rowling received 12 rejections before the daughter of a Bloomsbury editor demanded to read the rest of Harry Potter). If your book isn’t accepted for publication on your first try, fret not. You’re in the company of 99.99% of aspiring authors. 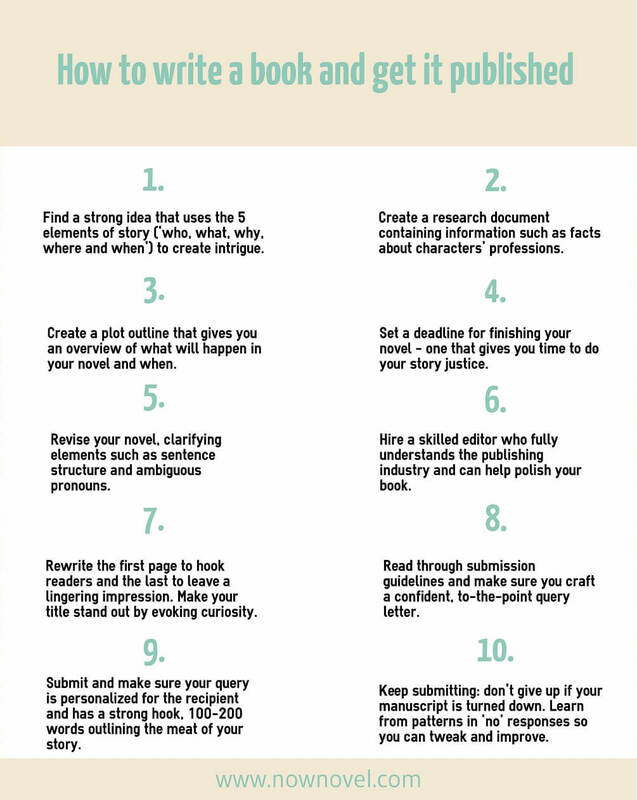 Keep submitting your manuscript if it is polished and you have a great story idea. If there is a pattern in rejection letters explaining why your book isn’t suitable, make a note of these. It could be that with a few small tweaks your book will be accepted on your next try. Also consider self-publishing. Although this won’t give you the cred of having a major publishing house backing you, it is a viable way to grow your own dedicated audience. What is the best advice you’ve ever read on how to write a book and get published?